Sunday, March 18, 2018; EHDI Denver; Preregistration required. Most commonly, equine therapy, or hippotherapy, is used as a term for equine-assisted activities, including occupational therapy, physical therapy, and speech therapy. 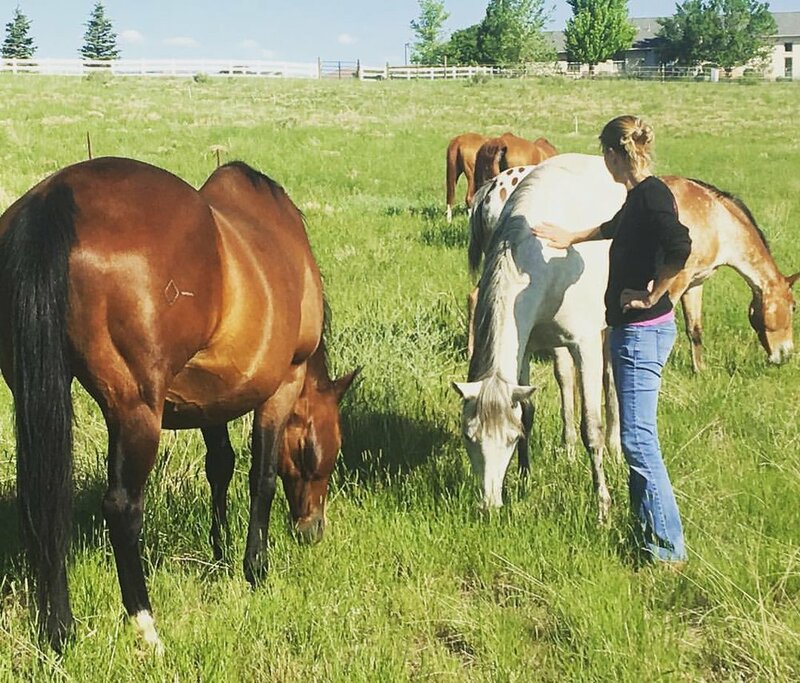 However, equine therapy can include all of these benefits while also exploring psychological, emotional, and relationship development. What can horses teach us about relationships? Horses are incredible models regarding transformative relationships and parenting. They offer invaluable lessons on how to navigate relationships across our differences, how to establish and maintain harmony, and how to get “unstuck” when facing resistance or obstacles. They highlight and help us deconstruct our assumptions and biases regarding people who are different from us. They rely heavily on the establishment of clear communication, and they do not judge. Due to the poignancy of equine therapy interventions, horses can optimally support self-awareness, emotional regulation, nervous system regulation, emotional availability, and caregiver responsiveness to children who are deaf and hard-of-hearing. The therapeutic metaphors and parallels between parenting/early intervention and horsemanship are profound. With horses as our guides, we will integrate theory with practice, enhancing our relational toolbox in the EHDI field. In this session, Jessica Dallman will facilitate a full-day immersion in the synthesis of early intervention and equine therapy at Happy Dog Ranch Foundation (www.happydogranch.org). In this nature-based setting, participants will learn from horses how to optimize the social-emotional development of deaf/hard of hearing children and their families, and will be empowered to solve for gaps in the EHDI system through a facilitated interspecies relationship. The session does not require prior experience with horses, and will include off-site transportation.